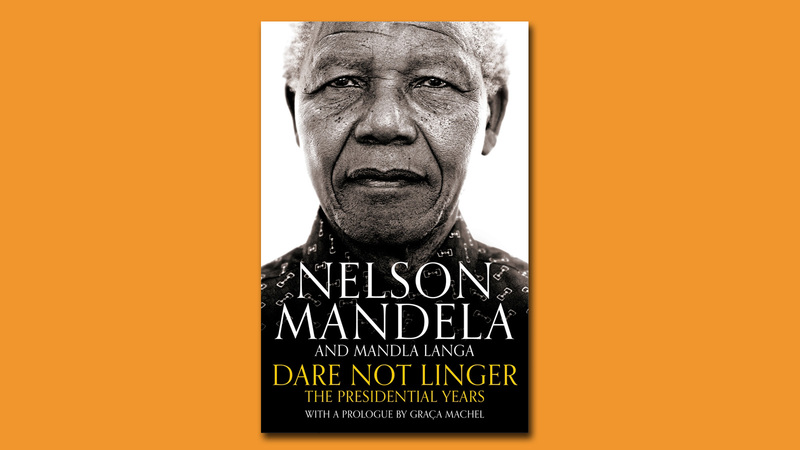 Non-Fiction Editorial Director Georgina Morley offers an insight into the story behind the publication of Nelson Mandela and Mandla Langa’s Dare Not Linger: The Presidential Years, which Pan Macmillan are are proud to publish this month. Just over a week ago, I walked into a recording studio and heard Nelson Mandela speak into a microphone. Of course, it wasn’t actually Nelson Mandela, but the actor Adrian Lester, who was recording the audio book of Dare Not Linger: The Presidential Years by Nelson Mandela and Mandla Langa. But it was an uncanny feeling to hear Adrian read Mandela’s words in Mandela’s voice and for a good few moments I was almost convinced that Madiba was really there in a sound-proofed room in Clerkenwell. On 19 October 2017, Macmillan will publish Dare Not Linger: The Presidential Years by Nelson Mandela and Mandla Langa. It’s the culmination of a long journey. As an editor with more than thirty years’ experience, I’m not generally daunted. I was thrilled that we were to publish the book, keenly aware of what a privilege it would be to work on it. But once the press release went out, I found myself in a taxi on the way to be interviewed about the book on Radio 4’s Today programme, hands shaking, knees knocking and mouth very dry indeed. Having survived that ordeal, I then found myself on a plane to South Africa to meet Verne Harris, the Director of Research and Archive at the Nelson Mandela Foundation. Any notion that this was an ordinary publishing project had vanished. Verne took me, together with my colleagues Terry Morris and Andrea Nattrass, MD and Publishing Director of Pan Macmillan South Africa, into the Foundation’s archive. Holding notes and letters written by Nelson Mandela in his distinctive, clear handwriting, is something I shall never forget. Now, more than two years later and after a huge amount of hard work on the part of the acclaimed South African writer, Mandla Langa, that exciting proposal has become a book. It tells the story of Mandela’s presidential years, drawing heavily on that unfinished memoir, on detailed notes that Mandela made as events were unfolding and a wealth of previously unseen archival material. With a prologue by Mandela's widow, Graça Machel, the result is a vivid and inspirational account of Mandela’s presidency, a country in flux and the creation of a new democracy. It tells the extraordinary story of the transition from decades of apartheid rule and the challenges Mandela overcome to make a reality of his cherished vision for a liberated South Africa. I couldn’t be prouder to have been part of this project and I hope that everyone who reads Dare Not Linger will be as moved as I have been by it. Publishing the book now, at a time when the world seems to be in the grip of political chaos and real danger, feels even more important than it did when we acquired it back in 2015. Nelson Mandela’s achievements were remarkable and his commitment to freedom, to democracy and to social justice remains a much-needed inspiration in these troubled times. Long may that legacy shine. Dare Not Linger is the story of Mandela’s presidential years, drawing heavily on the memoir he began to write as he prepared to finish his term of office, but was unable to finish. Now, the acclaimed South African writer, Mandla Langa, has completed the task using Mandela’s unfinished draft, detailed notes that Mandela made as events were unfolding and a wealth of previously unseen archival material. With a prologue by Mandela's widow, Graça Machel, the result is a vivid and inspirational account of Mandela’s presidency of South Africa and the creation of a new democracy. Dare Not Linger is published in Hardback, ebook and audiobook on 19th October 2017.